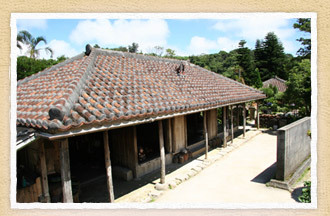 From private house of red tile, we hear tone of sanshin! 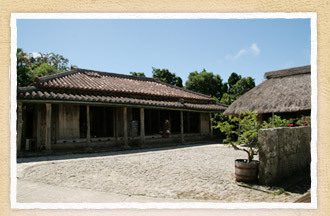 Old Okinawa is full in private house! 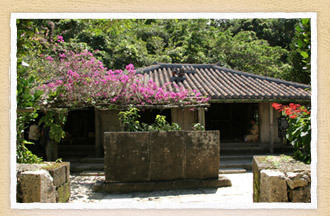 We remove and rebuild from Kanegusuku, Itoman-shi in 1982. 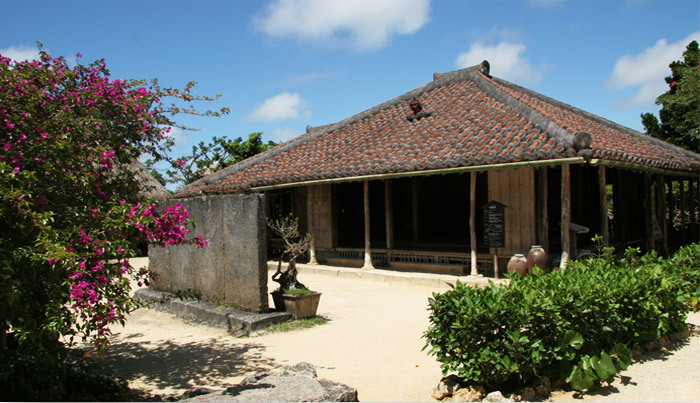 It was built in Shuri before it was removed and rebuilt in Itoman and was residence of chief vassal Yonabaru boss of King prefecture. We remove and rebuild from 100 Tamagusukuson in 1982. 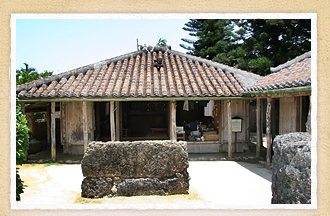 Old family of landowner of rice growing birthplace “Hashirimizu to receive” of Okinawa. 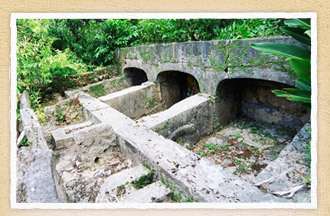 We remove and rebuild from Nago-shi feather place in northern Okinawa Island in 1982. 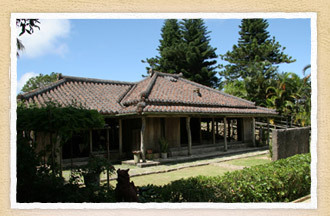 In private house built for the Meiji period, owner is said to have succeeded in agriculture. It was symbol of wealth in storehouse to store cereals. We remove and rebuild than Onna-son Shioya in 1982. Breeding hut of pork that fool was in mansion in old days. It is restroom. We remove and rebuild from Yaeyama Ishigaki-shi in 1981. 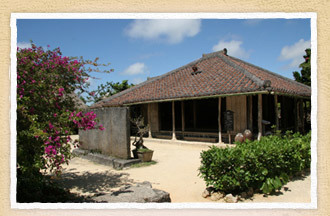 General private house. 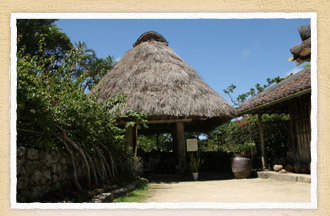 ■Originally located in Ishigaki city, Ishigaki island. In 1984, we remove and rebuild from Zakimi, Yomitan-son. General private house. In 1983, we remove and rebuild from Nakazatoson, Kumejima. General private house. 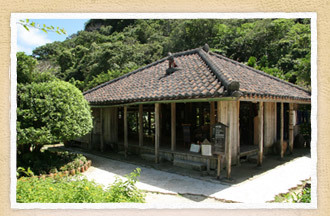 We can experience colorfully-dyed pattern and Ryukyu indigo plant dyeing of colorful coloration. The original building was built approximately around 1930. 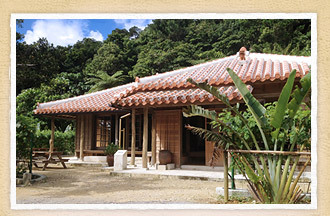 It was relocated from Hama, Kunigami village and reconstructed here in 2011. 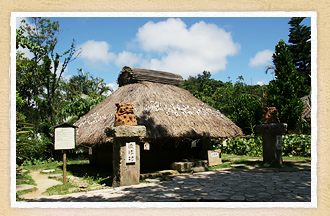 God ashagi was sacred place of God faith of Okinawa and was place that was important when we performed various religious service, events of village. We are said to be “thing which we considered so that beef, horse and Asuka kind do not enter sacred God ashagi” and, “object of worship drops nature and waist when we do not stoop down because invisible and has the respect for God” about structure that the eaves are low in.